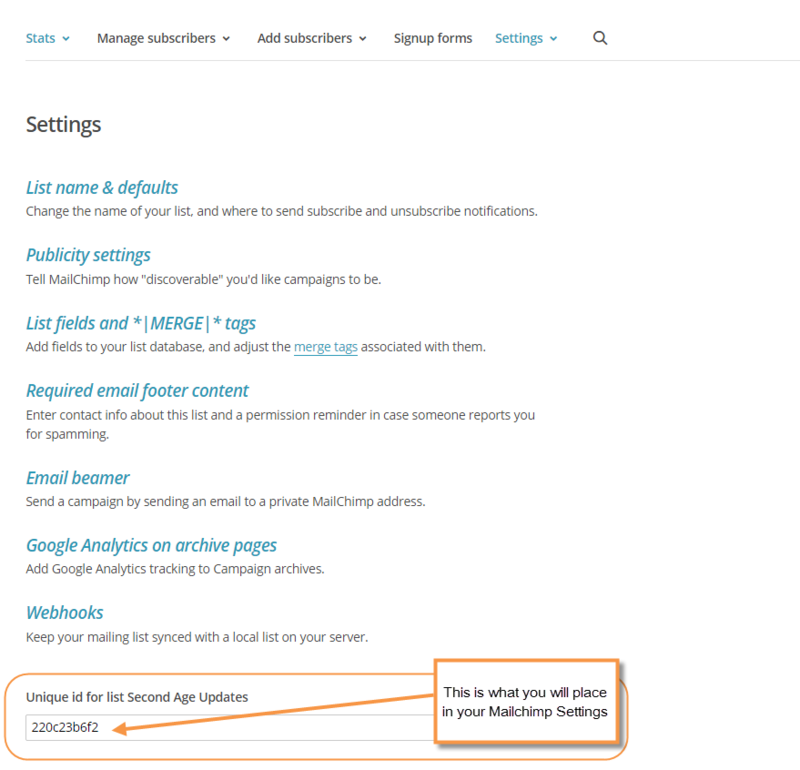 To use MailChimp, you will need to set up a new mailing list (from the admin panel, Marketing > Mailing Lists). Set the List Type to “MailChimp” and provide your API key and the List ID of the subscription list used. The list ID can be found under the list details by navigating to the top and select List. Then, select the name of your list and click "Settings" and you will find this at the bottom of the page. Wow - sorry to hear that Andrew. I was underwhelmed with the mailchimp integration, but now glad I didn't use it!! That's a HUGE bug. I added a custom page with a subscribe form. Then on checkout page, I added a link to this subscribe form. I don't remember why, but I actually took it a step further and had this custom subscribe form submit to a text file on my server instead of directly to mailchimp, then I upload this text file to mailchimp about once a week. I just noticed this article was recently updated, and comments have been removed. Does this mean that the bug we were discussing has been fixed?